A boring head will always cut a round circle. But this can either be an external surface or it can be an internal surface. The standard cutting tools sold for boring heads are designed so that when the head rotates clockwise, seen from above, the edge of the cutter will cut the inside of a hole. The diameter of the boring head in some cases is best set before starting the cut. This can be set up by fixing two fences to the milling table along the y-axis and parallel to each other, but with their inside faces square to the milling table, and separated by the diameter required. 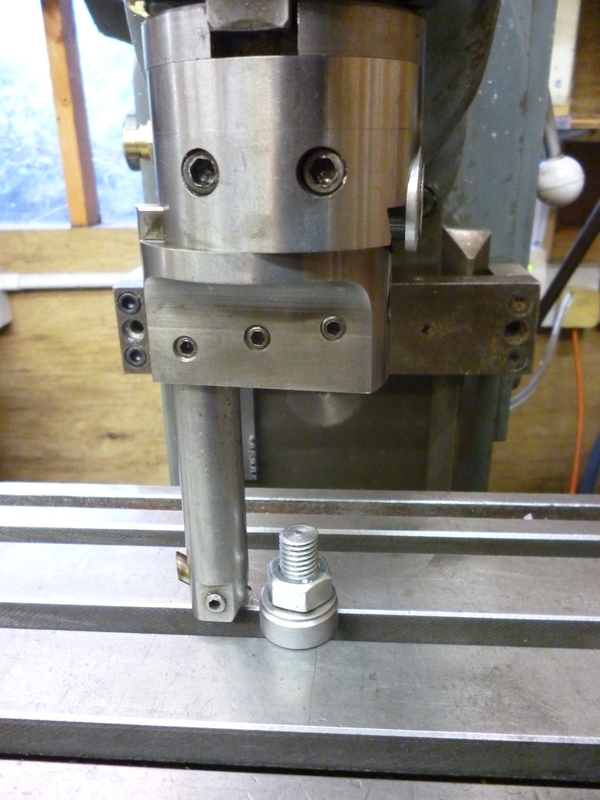 The boring head is fitted to the spindle. The table is moved and the cutting radius of the cutter adjusted till the tip of the cutter, when rotated, just touches each of the two fences. Usually this can be done by sight. For greater accuracy use the cigarette paper trick. notice – for cutting an outside of a diameter the tool has to be turned round so the cutting edge is pointing inwards. This means it will only cut with the milling machine running in reverse. It might seem that this would just be a variation of the previous setting to a diameter. But instead of the distance being the insides of the fences it would be the outsides of the fences. 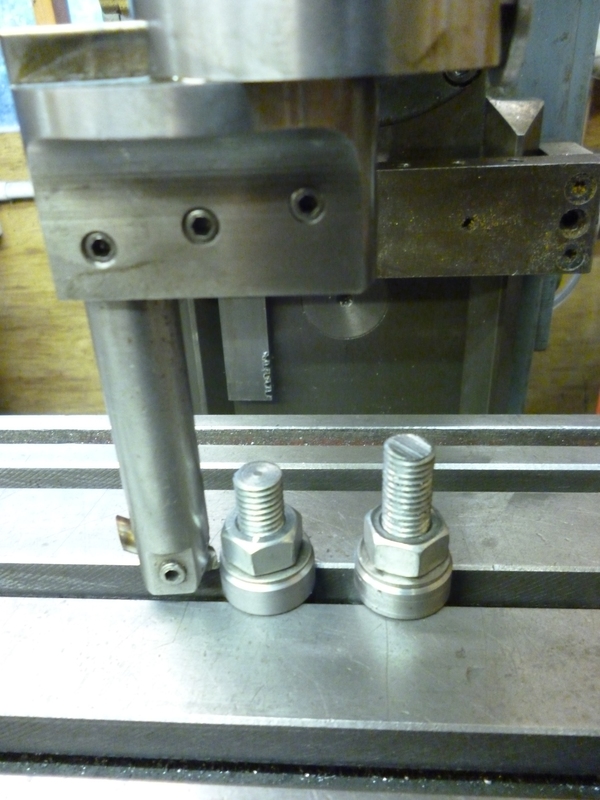 But if this is done it is not possible to rotate the boring head easily. for larger diameters, the distance is determined by setting up two round stops. The boring head is rotated and moved in the y direction and its diameter set until it can rotate round the two stops and just touching them both. For setting a small diameter the trick is to make a stop with the required diameter. 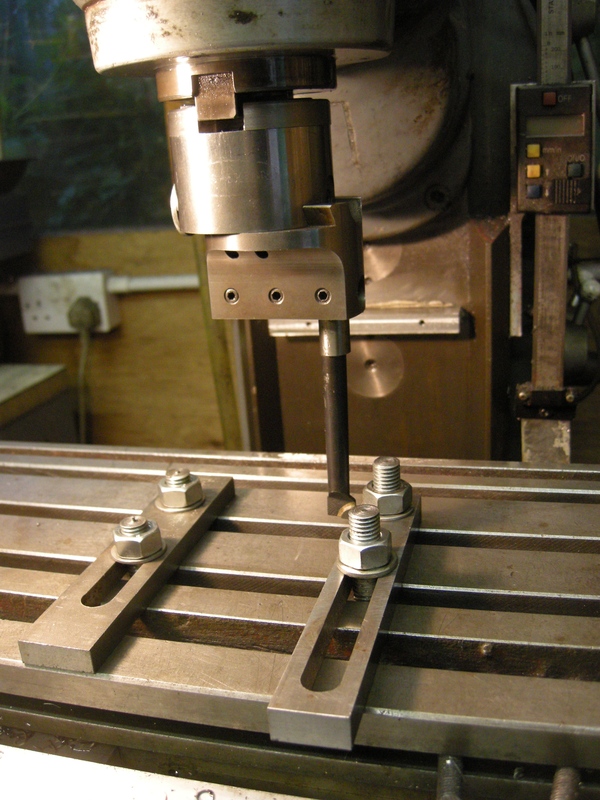 This is fitted to the milling table. The diameter of the boring head is set so the tip of the cutter just touches the stop all the way round.